Michael J. Marshall, LLC, Attorney at Law, in Macon, Georgia, is a valuable resource for businesses, financial institutions and private individuals in need of reliable, knowledgeable counsel and representation. 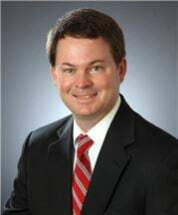 Licensed to practice in all Georgia state courts and in all Georgia federal district and bankruptcy courts, attorney Michael James Marshall applies nearly 15 years of experience in business and commercial litigation to each new case. He focuses on protecting clients' interests in every legal matter, including business litigation, collections and bankruptcy litigation. Clients have included banks, real estate development companies, commercial landlords, constructions companies, construction material suppliers, Fortune 500 companies, mom-and-pop businesses, and individuals bringing and defending against lawsuits. Aggressive representation that brings about results is the norm for clients of Michael J. Marshall, LLC, Attorney at Law, a well-established business and commercial litigation law firm. Financial institutions, large corporations and small to medium-sized businesses rely on lawyer Michael J. Marshall's experience and knowledge of collections, creditor-sided bankruptcy defense and business law disputes of all types and complexities.He handles commercial collection matters, troubled loan workouts and foreclosure proceedings. Businesses and financial institutions also benefit from his extensive background handling business formation, mergers and acquisitions and other transactional matters. Potential clients are invited to contact the law firm at their earliest convenience. At Michael J. Marshall, LLC, Attorney at Law, the practice of law is focused on achieving favorable results for each client, regardless of the legal matter. This website spells out many of the common legal concerns brought forth by clients of Michael J. Marshall, LLC, Attorney at Law. The law firm serves both plaintiffs and defendants — individuals as well as businesses and other organizations — in a variety of litigation matters. Financial institutions and businesses of all sizes and varieties find reliable, client-centered legal counsel and representation at Michael J. Marshall, LLC, Attorney at Law. Contact Michael J. Marshall, LLC, Attorney at Law.